The Department of Botany of Ewing Christian College was founded by Dr.Winfield Dudgeon (1912-32), an American missionary and internationally renowned botanist. Because of his out standing calibre is was elected as the founder president of Indian Botanical Society in 1919. The enjoyed full fledged degree status for a number of years. Though the status of College was reduced to that of an Intermediate college in 1922 with the introduction of Allahabad University Act but the Department produced a series of good students who later added feather of glory to this Department as well as to the college by their distinguished positions in the field of academics and other realms. 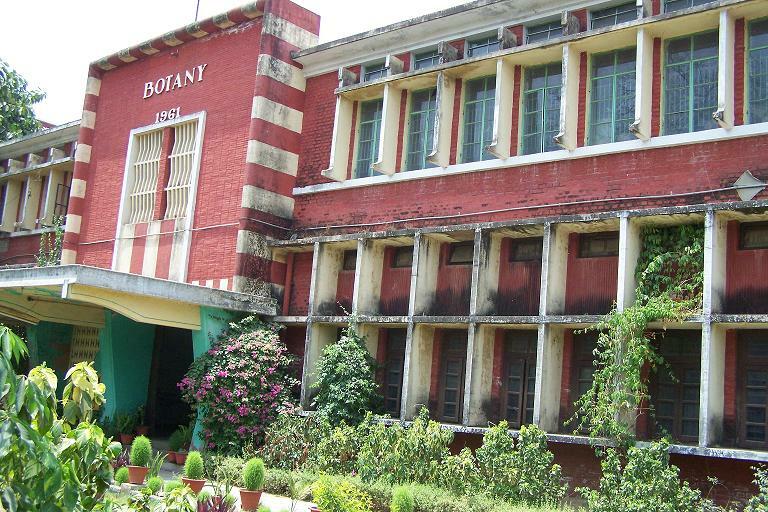 Degree classes were restarted in 1951 and the Botany Department was shifted to the present building in 1961 from the first floor of the present Chemistry Department. The new building was built with the financial support from the University Grants Commission. The department is running three UGC minor projects. BOTANICAL ASSOCIATION Aims and Objectives: In order to encourage the students to participate in various extra-curricular activities and botanical excursion Botanical Association was established in the Department. The students are inspired to participate in various social activities as well. The Association organizes various activites of students like arranges Photography competition, Lectures, debates, Poster display competition and short excursion to localities of botanical interest around Allahabad. The department is one of the Star Departments as per CPE norms. In 2015, under Community College Scheme, the department started Advanced Certificate Course in Food Technology. Class XII Science students can apply for this course. The department is promoting skill development as per the initiative taken by the central government. Botanical Association: The Department of Botany has a Botanical Association which regularly organizes various student activites like Lacey Memorial Flower Show, Rangoli Competition, Guest Lectures, Debates and Botanical excursions to near by locaties. Our past Heads of the Department Dr.Winfield Dudgeon (1912-32) Professor R.C. Lacey (1952-1964) Dr. S.N. Bhattacharya (1964-1977) Dr. L.M. Srivastava (1977-1985) Dr.Y.V.Chaddha(1985-1998) Dr. S. John (1998-2010) Our Outstanding Alumni Dr. Winfield Dudgeon, Pioneer Ecologist of India Prof. R. C. Lacy Prof. Panchanan Maheshwari, Father of Embryology in India Prof. Shiv Dayal Saxena, distinguished Paleobotanist Prof. R. N. Singh, distinguished Phycologist Sri K. D. Malviya Prof. A. K. Mitra Prof. B. B. L. Saxena Sri Harish Chandra Gupta, I.C.S. Prof. J. S. Singh, distinguished Ecologist of India. Qualification : M.Sc., Ph.D., B.C.S.